Win was 5th win and 25th podium for Thierry Neuville. Second place was 5th podium for Hayden Paddon. Third place was 62nd podium for Sebastien Ogier. Win was 6th win and 1-2 win were 28th to 29th podiums for Hyundai. Third place was 346th podium for Ford. Neuville and Tanak fought for the win right to the end, lead changing between them after every couple of stages. 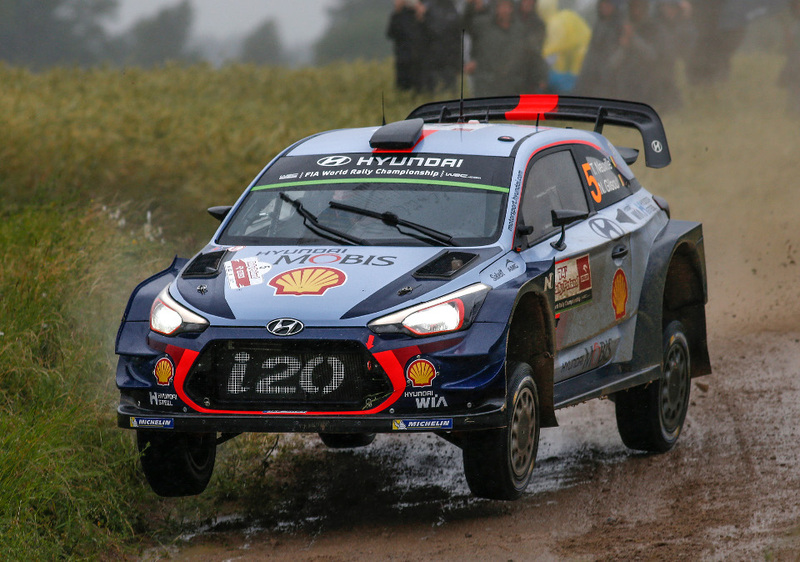 In wet and treacherous conditions it was only a matter of time before either would make a mistake and when Tanak went off, Hyundai was left with double win. M-Sport Ford was headed to a fine result, Tanak leading and having a good fight until he aquaplaned off in a puddle and hit tree. 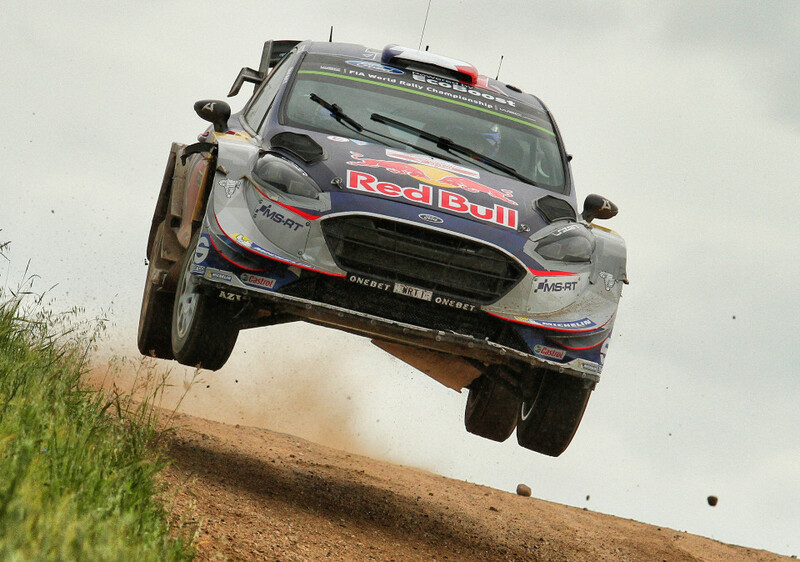 Ogier had been as low as sixth but with Tanak's off, Latvala's problem and him being able to overhaul Sordo he managed to finish third overall. 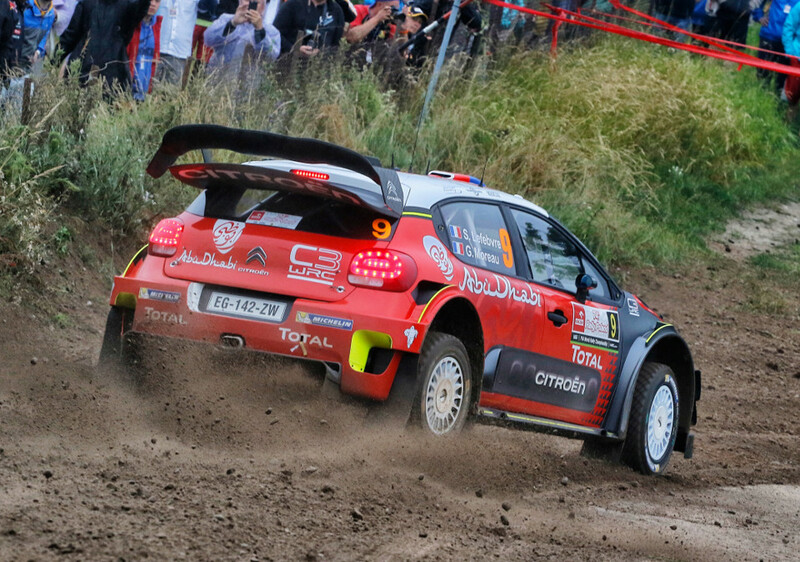 Citroen opted to rest Meeke and entered Mikkelsen with development parts in his car instead. He hit tree stump and lost minutes, leaving Lefebvre as best Citroen. His position improved steadily as others dropped out and he finally gained fifth on final stage after Suninen made small mistake. 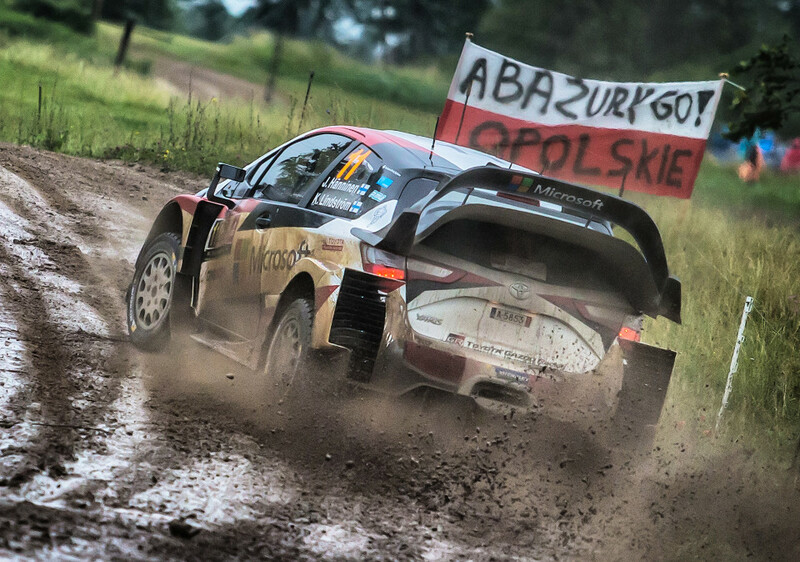 Toyota had their worst result so far this season despite very promising speed shown by Latvala. He was third overall just 14 seconds off the lead when his car stopped with throttle problem. With Lappi already out after an accident that left Hanninen (pictured) best of their cars, lowly 10th.